Alnwick is a lovely market town in the heart of Northumbria. 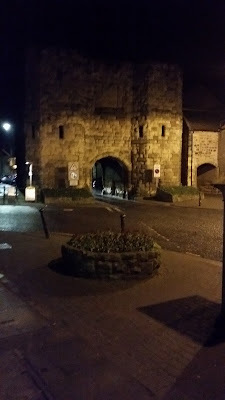 It is steeped in history and has a couple of good pubs as well. We were staying next door to one of these, The Tanner's Arms, just 100 metres from the gate to the town. The pub is on the corner of Hotspur Hill on the end of a short terrace of apartments. During the week it is not open until 5pm but, be assured, the wait is worth it. Inside there is just one room , part divided by a stone fireplace with a woodburning stove in it. There is a small bar with six wicket pumps on it. 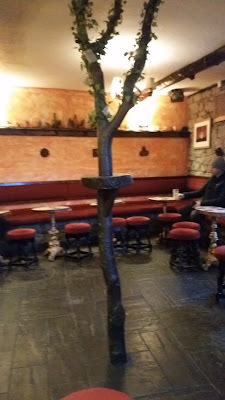 This is the area where the locals congregate. The beers on offer were all from the region. 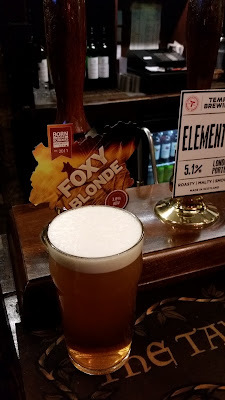 My first pint was Foxy Blonde from the Born in the Borders Brewery in Jedburgh and very nice it was too. 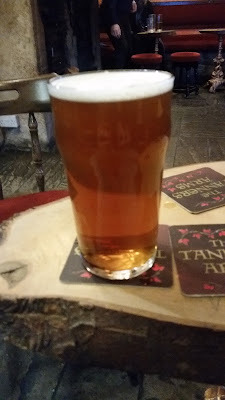 This was followed by a pint of Game Bird, a very tasty bitter from the same brewery. 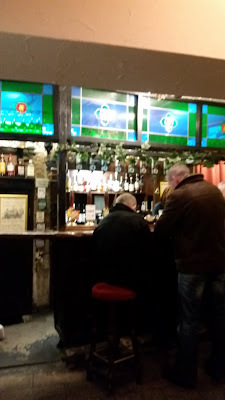 There was also a porter available from the Tempest Brew Company in Galashiels but I was enjoying the bitter too much to be tempted. Whilst supping my second pint I was able to observe the "tree" in the middle of the room although it was probably only a branch & did not appear to be growing. "Quirky" springs to mind. 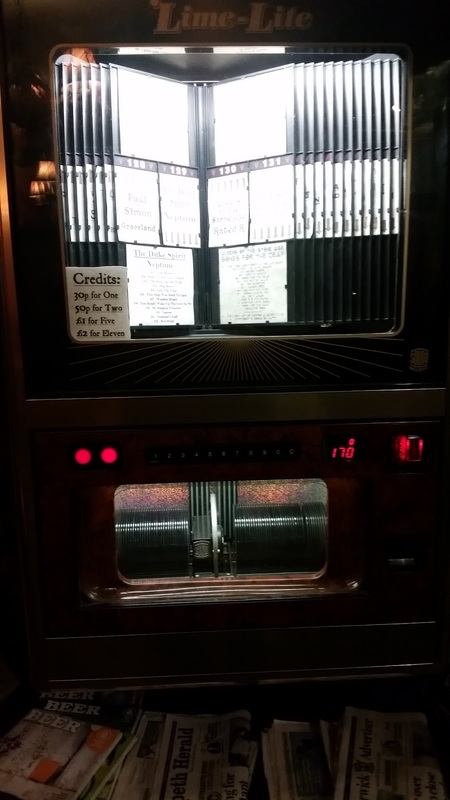 Another feature of the pub was the amazing jukebox. Unusual these days. It featured songs from great bands going right back to the days of my youth. 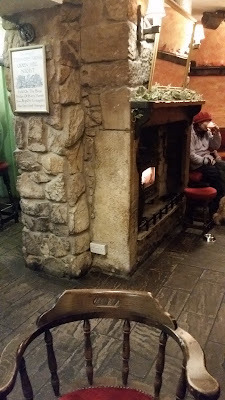 Despite being only one room the pub had at least four well behaved dogs in whilst we were there. 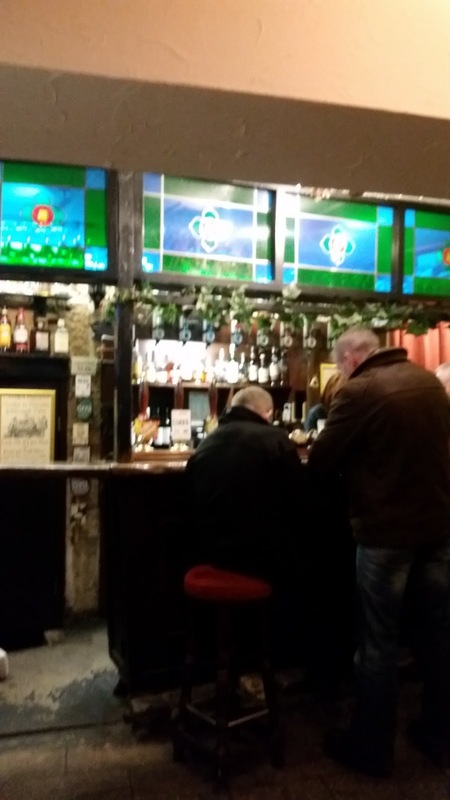 At 5pm on a Sunday evening the pub was filling up with people looking for good beer in a convivial atmosphere. 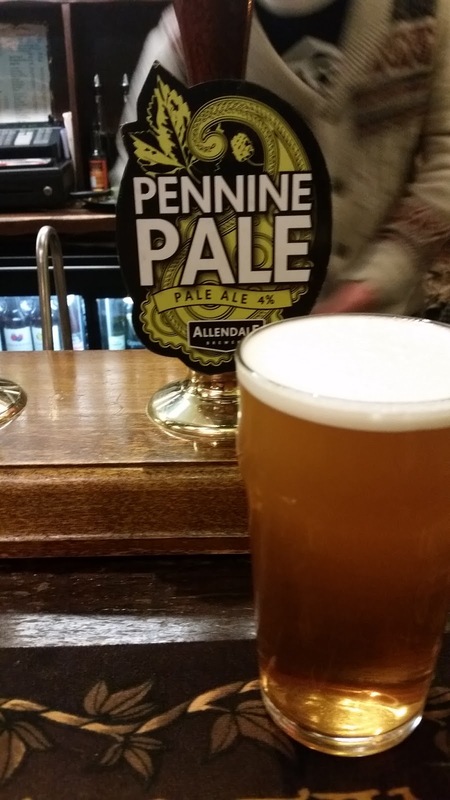 Time for another pint! 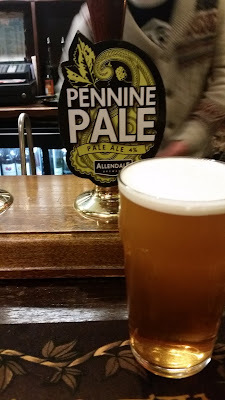 My third was a pint of Pennine Pale from the Allendale Brewery in Hexham. 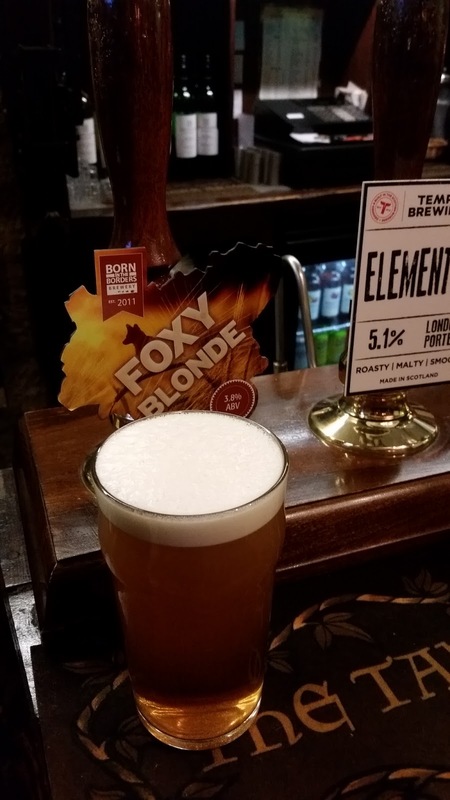 This turned out to be another beautifully balanced bitter which slipped down easily. 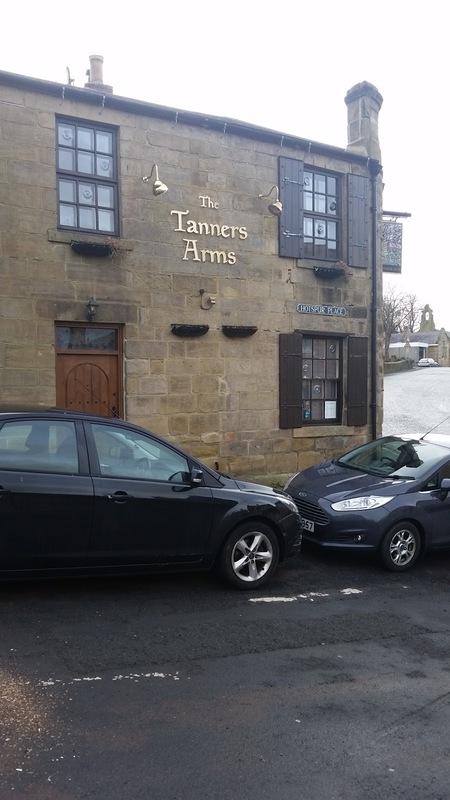 There are probably lots more lovely pubs like the Tanner's Arms in Northumbria but I am happy to have found this one and look forward to our next trip oop north where the scenery is matched by the quality of the local beers and pubs.